Charter schools are independently operated public schools that are open to all Verona Area School District (VASD) residents, regardless of their neighborhood, socioeconomic status, academic achievement, or ethnicity. There are no admission tests or tuition fees. Charter schools have a unique focus, are designed to foster innovation, boost achievement and give educational choices to parents and students. What immersion model is VAIS using? VAIS utilizes a 50-50 instructional model from kindergarten through fifth grade. Half of each day’s instruction takes place in Chinese with a state licensed, Chinese teacher. Half of each day is taught in English-only instruction by English-speaking teachers, using current philosophy and teaching styles prevalent in other successful area schools. The goal of VAIS is to create intermediate to advanced proficiency in students by 5th grade. By immersing students in the process of learning in Chinese, we provide the greatest opportunity for VAIS students to become bi-literate and bilingual. How will my child react to learning in Chinese? Many parents worry about placing their children into an environment where the classroom teacher speaks to students in a language they don't understand. Experience and research indicate that children have little problem jumping into a new language. From birth to approximately eight years of age, children's brains are designed to acquire language rapidly and with native understanding and pronunciation. VAIS’ immersion model takes advantage of this window of easy learning language acquisition. Our experience over the last several years has reinforced that although being taught in Chinese will seem unusual to students the first week or two, instruction in two languages quickly becomes “normal.” While Chinese teachers will speak to the children in Chinese, the children may speak to their teachers in English while they are getting comfortable with Chinese. How do I help with homework and support my child if I don't speak Chinese? You will be asked to support your child with English language development by reading with your child in English 15 to 30 minutes a day. You can support your child's first language while encouraging them to embrace Chinese. VAIS uses online Chinese books and websites that allow parents to practice with students outside of school. Other homework (math, science) will be in English. VAIS is located within Stoner Prairie Elementary School in Fitchburg, Wisconsin. It is part of the Verona Area School District School public school system. Will my child be bused to the school? Yes, if you qualify for busing (if live more than 1.25 miles away) your child will be bused to school if you so choose. Will my child have access to the services that are available to children at other elementary schools? Yes. Services such as hot lunch, reading intervention, social services and afterschool activities are also available to children at VAIS. How will I know if my child is learning Chinese if I don't speak the language? Both English and Chinese teachers conduct regular parent-teacher conferences as well as keeping in contact with parents through email or phone calls as needed. 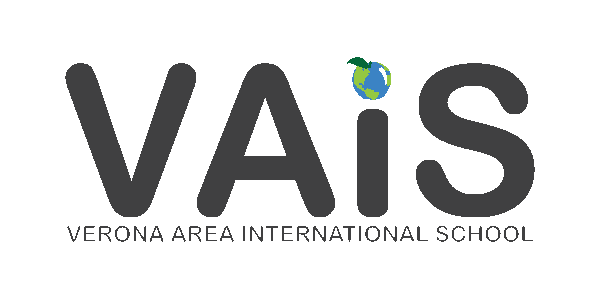 VAIS also evaluates students on Chinese language learning twice yearly through a formal Chinese Language Arts assessment, similar to assessments our students take in math and English language arts. What do I need to do if I am interested in enrolling my child at VAIS? Enrollment is open to all incoming kindergarten students in the VASD in accordance with the Board of Education's enrollment policy for charter schools. Charter school enrollment forms will be available on-line early February on the VASD website http://www.verona.k12.wi.us/district_information/incoming_k_information or you can call the VASD office at 608-845-4306 to request a form. Like the other VASD charter schools, if requests for admission to VAIS exceed approved capacity, a lottery system will be employed to select from the requests submitted.